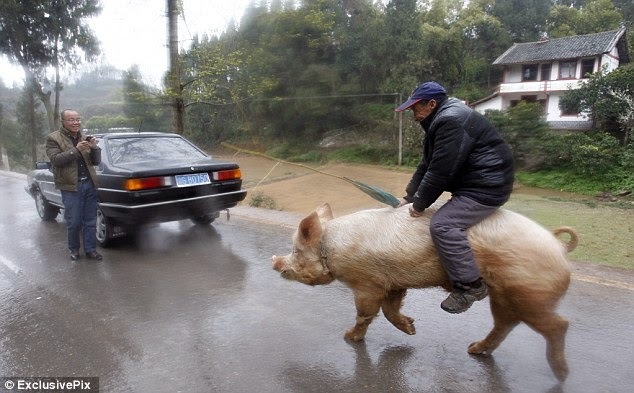 An elderly man who has raised pigs for 30 years has been seen riding his pig around streets and towns in China, after becoming too sick to walk.The 68-year-old pig farmer from Chongqing in China rides a hog which weighs 250 kg and stands at about 3 feet tall.He started riding it when an attack of bronchitis made him too sick to walk, which made him attempt to ride the pig. 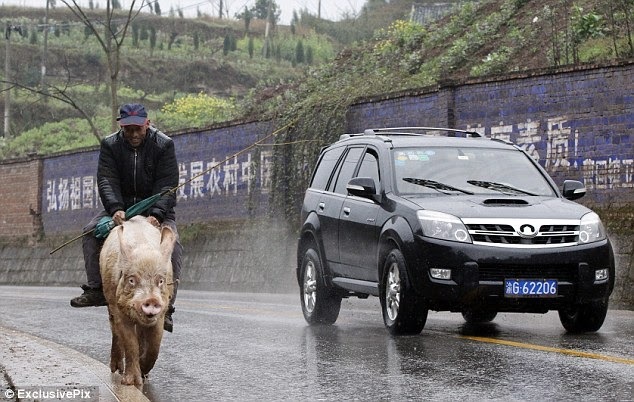 The man has herded pigs for 30 years, and is commonly known as a 'swineherd', an older term for pig farmer that has disappeared into obscurity with the passing of time. 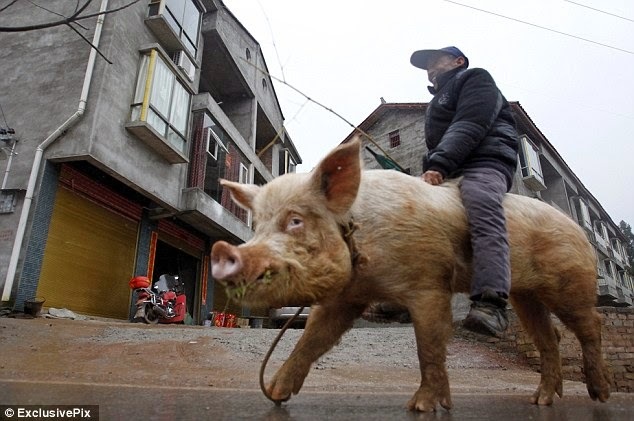 He was originally skeptical that his idea would pay off, but after giving it a go, he found that it was a lot smoother than he thought it would be.After his realisation, he started riding the pig everywhere, from his house to market, to around the town.